BMUS Professional Development & Standards Committee endorsed the course and awarded 6 CPD points. Special price for early bird. 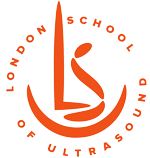 The must course for every fetal medicine and ultrasound professional, obstetricians and fetal medicine midwives and sonographers. We are happy to invite you to the new edition of this essential course. The previous course on the 16th of March 2019 was very successful and we have many positive comments and interest in the course. The aim of the course is to provide ultrasound professionals with substantial skills and knowledge to facilitate an early diagnosis of the heart diseases. The material of the course is based on extensive practical work for diagnosis of CHD and more than 10 years teaching experience with vast analysis of prenatally undiagnosed cases. The course is absolutely practical and it based on a generous amount of CHD video clips of rare cases and quiz.